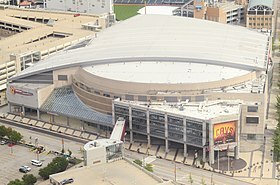 The 2016 Republican National Convention, in which delegates of the United States Republican Party chose the party's nominees for President of the United States and Vice President of the United States in the United States presidential election, 2016, was held July 18–21, 2016, at Quicken Loans Arena in Cleveland, Ohio. The event marked the third time Cleveland has hosted this event, the first since 1936. In addition to determining the party's national ticket, the convention ratified the party platform. There were 2,472 delegates to the Republican National Convention, with a simple majority of 1,237 required to win the presidential nomination. 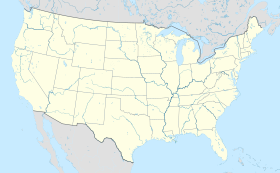 Most of those delegates were bound for the first ballot of the convention based on the results of the 2016 Republican presidential primaries. The convention formally nominated Donald Trump for President and Indiana Governor Mike Pence for Vice President. Trump and Pence would go on to defeat Hillary Clinton and her running mate, Senator Tim Kaine, in the general election.